Finally, a chair mat that you can trust to not only protect your carpet or floors from caster wheels, but also not crumble, change color, or warp from rigorous use. Regular plastic chair mats only last a few months before they turn to dust. We made our polyurethane mats so sturdy, they can withstand the impact of stilettos heels, caster wheels, and even fire--making them virtually indestructible. 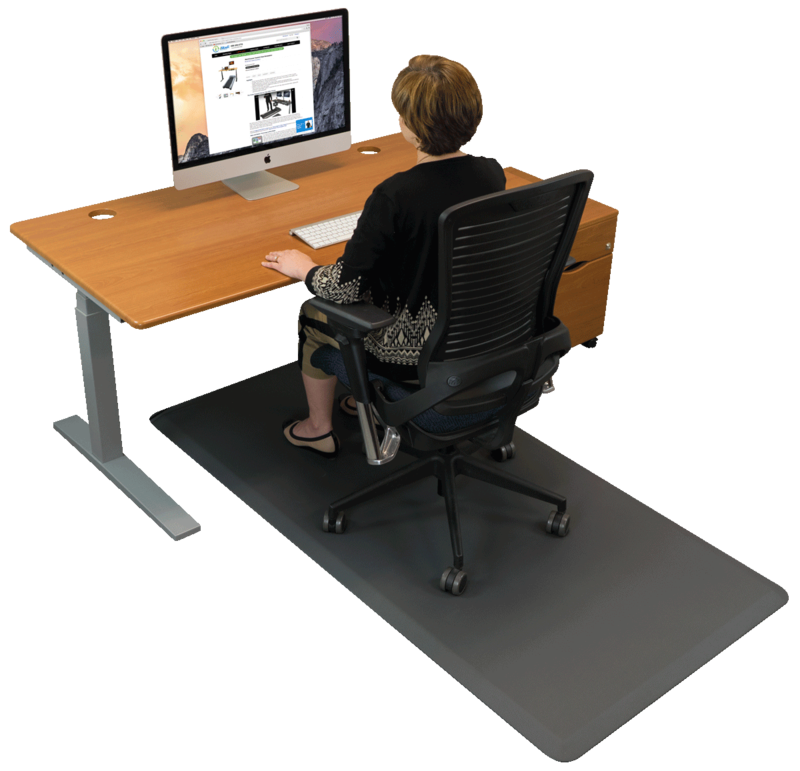 Our sit-stand hybrid mat can be used with a standing desk in both seated and upright positions. Safely roll your chair in place when you're ready to sit and push it away when it's time to stand.